Are you fascinated by those news stories about Jesus sightings in a peanut butter and jelly sandwich? Now you can enjoy your own holy breakfast each and every morning, because the Jesus Toaster IS real. 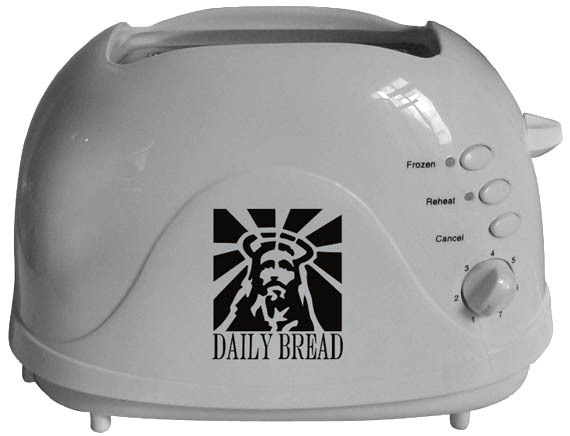 With all the features of a regular toaster, it prints the image of JC himself on each piece of your daily bread. While this won’t replace your weekly Sunday services, a little Christ toast might inspire you to be on your best behavior the whole day through.